COLLEGE H.U.L.K.S. sign illegally attached to telephone pole. On the turn into the South Bridge neighborhoods, on the North East corner of Mineral and Windermere. Was fixed once before but only lasted a couple days. It is a high traffic area. 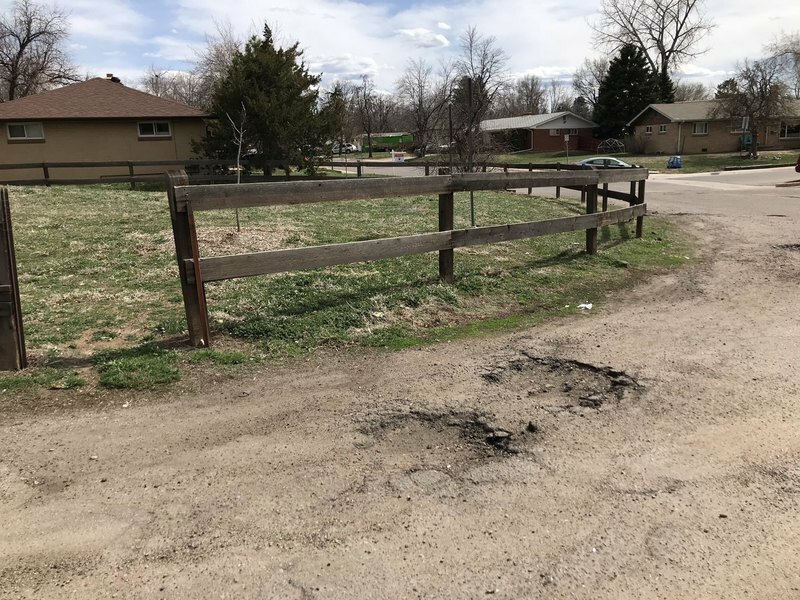 Pothole in front of driveway at 5512 S. Cedar St.
Graffiti (stickers) on control box. I drove by this issue, this AM, 11-23-18. It has NOT been resolved/corrected. I gave the incorrect location, My error. Sorry. The stickers are on a control box on the NW corner of the King Soopers gas station, which is at the SW corner of Broadway and Littleton Blvd. 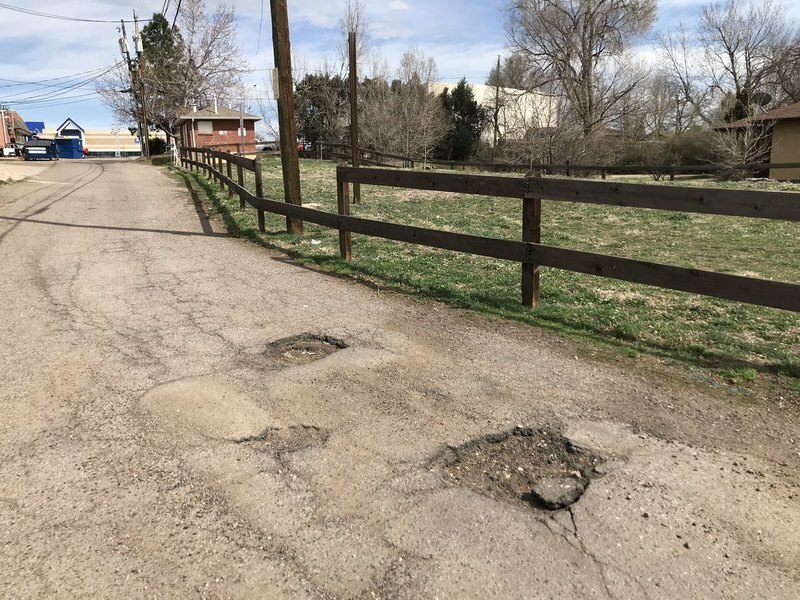 Numerous deep Potholes in access drive to Coty of Littleton owned property. Your request to the City of Littleton has been acknowledged. The City has determined that there is no violation at this location at this time. Non permitted construction including electrical. Noxious odors. I think my picture was taken by a red light camera. What happens next? How do I get to the Littleton Center (city hall)? Municipal Court? 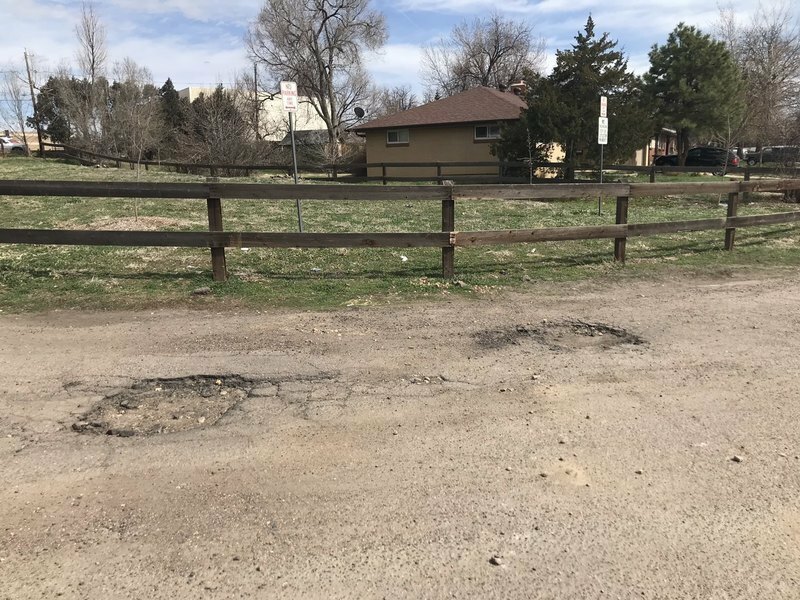 Where do I get a driver's license or license plates in Littleton? Where can I get information about the Omnibus and Shopping Cart?